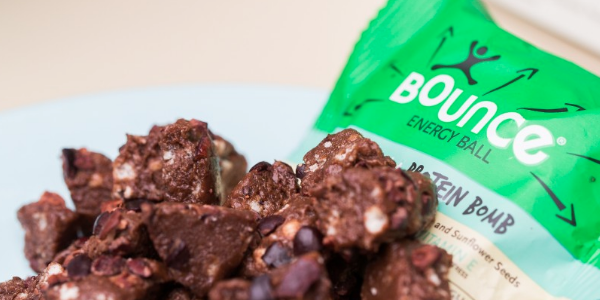 You may have already seen these little energy balls bouncing their way into health food stores across the UK. 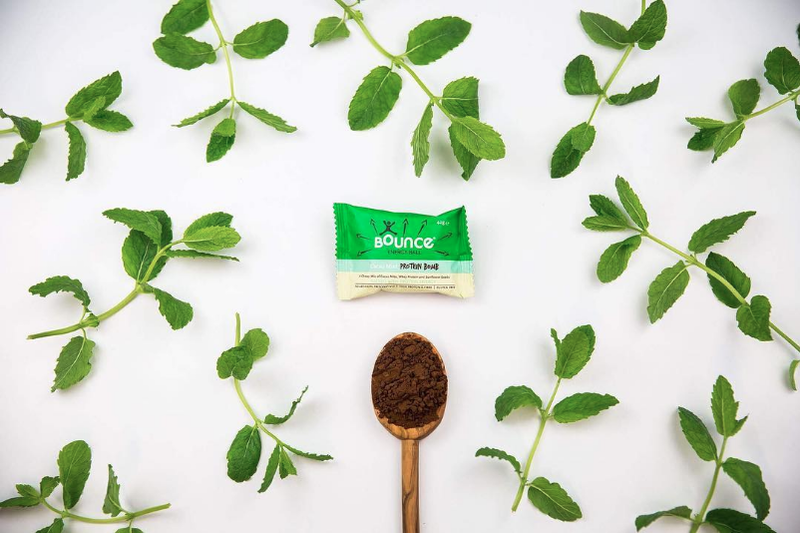 Bounce Balls was founded by Australian couple Paula & Andy Hannagan in 2004, when they wanted to switch up their careers as a personal trainer and life coach to make delicious and healthy snacks. 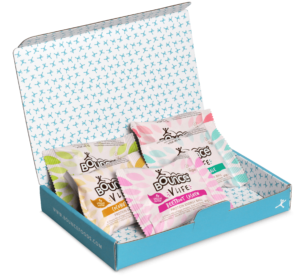 We tried out some Bounce Protein Balls here at the AdventureYogi HQ to see their effectiveness before our daily yoga practice. The flavours all taste amazing, and are chewy like fudge/toffee. The crumbled nuts/cacao on the balls look amazing and add a new texture to tantalise the taste buds. The balls are all sweet and have a rather high sugar content; however the sugars are not refined and come from sources such as agave and brown rice. This is obviously their big selling point, and they really do contain a high amount of protein! The vegetarian flavours get their protein from whey (milk), whereas the vegan option’s protein source is from peas. Each flavour contains at least 8.5g of protein (that’s 17% of your daily recommendation!) with the highest protein content ball being the Peanut Protein Blast, boasting a whopping 13g protein! That’s over a quarter of your daily recommendation, which is great news for veggie athletes. Protein is so important for keeping your body functioning healthily, especially when you do lots of exercise. Eating a protein filled snack before a workout will give your muscles the fuel to push further, and consuming protein afterwards provides the muscles with essential amino acids. We loved eating the Bounce Balls before our yoga practice, as they provided us with the energy we needed, but didn’t weigh us down or make us feel heavy or bloated. We found we could munch on a Bounce Ball in the morning and keep the tummy rumbling at bay for a whole 2 hour yoga session before breakfast. We found we could concentrate better and saw improvement in our asanas. We love Bounce Balls! They all contain so many health benefits, such as high contents of dietary fibre and antioxidants. The high amount of protein found in each ball make them the perfect snack to indulge in before your workout, to give you an energy boost and improve your performance. Not only are they nutritious, they’re all delicious with a huge variety of flavours to choose from. Two of our favourites are the Cacao Mint and Cashew Peanut. 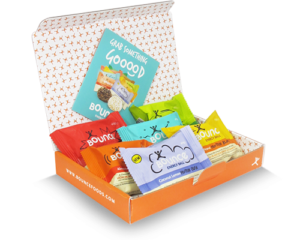 You can buy Bounce Balls from most health food stores or directly online, where you can get boxes in single flavours or variety packs. Yummy!